In a world where we know body image is less about other peoples perception and more about your perception, electronic muscle stimulators can have a positive effect to supplement a good diet and regular physical activity. Using tiny electric pulses, an electronic muscle stimulator (EMS) tones and firms your muscles giving them that sculpted look you desire. Electronic muscle stimulators are not a new technology. Professional athletes looking for a competitive edge and body builders looking for that extra sharpness to their physique have been using them for years. However, an EMS device can be of practical use to everyday people who want to keep up a fit form simply from the comfort of their living room or home gym. In particular, people who are physically disabled, in physiotherapy or who just need results to appear quickly can benefit greatly from what an EMS has to offer. Electronic muscle stimulators do just what their name suggests: they use electrical pulses to stimulate muscles into flexing many times in a small span of time. While an average workout might be able to flex an individual muscle a couple of dozen times in a half hour workout, an EMS can flex that same muscle a few hundred times in the same time span. Moreover, an EMS is capable of targeting very specific muscles and muscles groups that can be difficult to exercise especially without costly workout equipment. The abdominals, for instance, are extremely stubborn muscles that do not always firm up evenly with regular exercises such as sit-ups. An EMS can ensure the abs get a well rounded and thorough workout without complicated positions or expensive specialized exercise machines. Electronic muscle stimulators are not a cheat or a new fangled quick-fix. They were developed over forty years ago in England for enhanced athletic performance as well as for everyday functions in beauty salons, health spas, hospitals, and physiotherapy clinics. Their use has been permitted by the International Olympic Committee for athletes since the early seventies. Through an array of soft rubber pads, gentle electronic impulses stimulate muscle groups into relaxing and contracting. Most electronic muscle stimulators come with a chart or a guide to the optimal placement of the pads to work out specific muscle groups. Electronic muscle stimulators are safe for most users. The only people who ought to avoid an EMS are usually not meant to undertake any sort of intensive exercise program anyways such as pregnant women, those with a pace maker or internal metal plates or pins, or those with diabetes or abnormal blood pressure. On the other hand, an EMS can be ideal for a woman who was recently pregnant and wants to quickly reduce the appearance of being pregnant. Since the benefits of using an EMS are usually quicker to appear and easier to achieve than they are through traditional conventional exercises and since an EMS is lightweight, portable, and can be used just about anywhere, it is ideal for recent mothers. Electronic muscle stimulators are especially useful for injured people who want to speed their healing by reducing the blood flow to the traumatized area and reducing swelling and soreness. In conjunction with regular physiotherapy, electronic muscle stimulators can help to speed the healing process by strengthening weak muscles without putting any strain on joints or requiring an excess of movement as an EMS is effective even when one is in a prone position. More often than not, improvement is visible after even one session. Like any exercise, frequent use is needed to maintain form and tone of the muscles, but frequent exercise has never been easier or more convenient. If you are looking for a way to reduce the pain you feel from a sports injury when you are working out, consider investing in a TENS unit. These devices can help you control your pain so that you can get the most out of your workout. TENS units are widely used in the physical therapy field to help patients control their pain while they rehabilitate their muscles. With the proper training, you can benefit from this same technology at home or at your favorite gym. TENS stands for Transcutaneous Electrical Nerve Stimulation. A TENS unit uses electrical shocks to block pain signals that are being sent to the brain. It can also stimulate the body to create endorphins, which can increase the body’s ability to perform physical exercise. TENS units come with small electrode pads that already have gel on them. These are placed on the area that is experiencing pain. The small electrical shock delivered by the device will trigger the nerves in the area. Most users will feel a tingling sensation when they turn the device on. This can block the signal of pain to the brain when used at high dosages. Lower dosages are what trigger endorphin creation. Who Can Use TENS Units? Anyone can use a TENS unit with the proper training. However, since these do involve the use of electrical current, you should not use them without medical oversight. 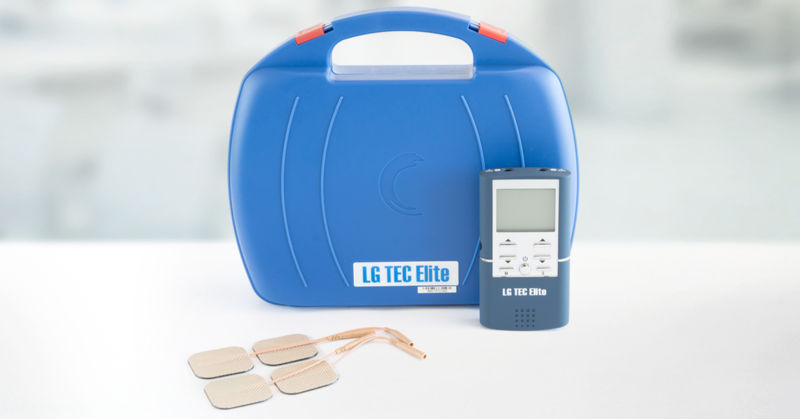 If you are recovering from a sports related injury, however, consider asking your physical therapist if you can be trained to use a TENS unit as you return to your sports training program. The device is going to be the most effective for athletes who are suffering from pain due to nerve damage. The common aches and pains that come from a rigorous workout are not what this device is intended to help. Some people should not use a TENS unit, however. Children should not use the device, as its safety on growing bodies has not yet been tested. Any people with pacemakers or other similar electrical devices inside their bodies should never use a TENS unit. It can interfere with the proper functioning of the device, which can be life threatening. TENS units are considered safe when used properly. However, there are certain places on the body where they should not be used. The electrodes should never be placed near the eyes or mouth. They also should not be placed on the temples. In fact, it is best not to use them on the face at all, as they could easily be placed too close to one of these sensitive areas. The front of the neck is another place that the device should not be used. If you have any open wounds, do not put the electrode on them. Never place the device over the belly of a pregnant woman. In fact, pregnant women should not use a TENS device without first consulting with their obstetrician. Once you have been trained by your doctor or physical therapist as to the best way to use the TENS device in your training program, make sure you resist the temptation to turn the frequency up too high. Remember, there is a limit to the pain relief you can experience with at TENS unit. Putting the frequency too high will actually cause you to have more pain. If you notice your muscles contracting near the electrodes, it is set too high. 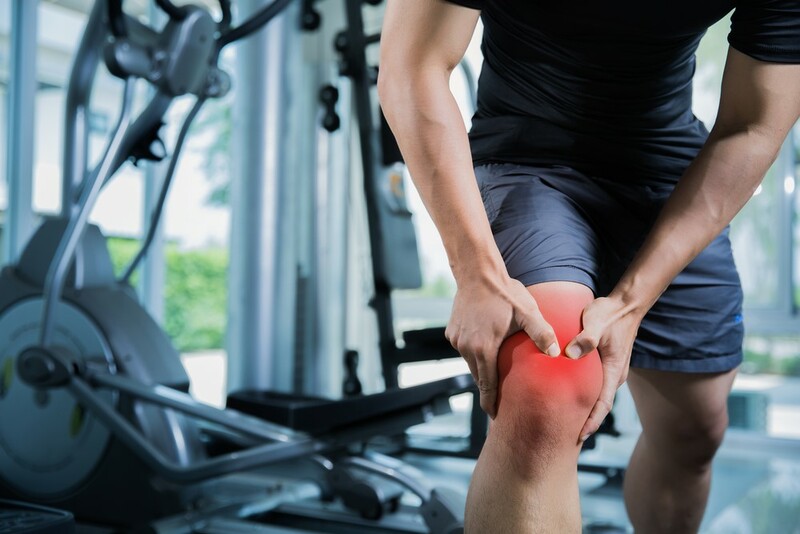 Otherwise, as long as you are properly trained and have followed these safety rules, you can use a TENS unit to reduce the pain from a past injury as you continue your workout routine. The history of Electronic Muscle Stimulators is quite interesting because it goes all the way back to 2500B.C. which was the time of the Egyptian Fifth Dynasty. Although electricity as we know it was thousands of years from existence, the Egyptians discovered an electric fish that could be used in the treatment of pain. It wasn’t until 1965 when “Pain Mechanism: A New Theory,” a paper by Melzack and Wall that was written after a tremendous amount of research, revealed the benefits of electricity used as therapy to the people of today. 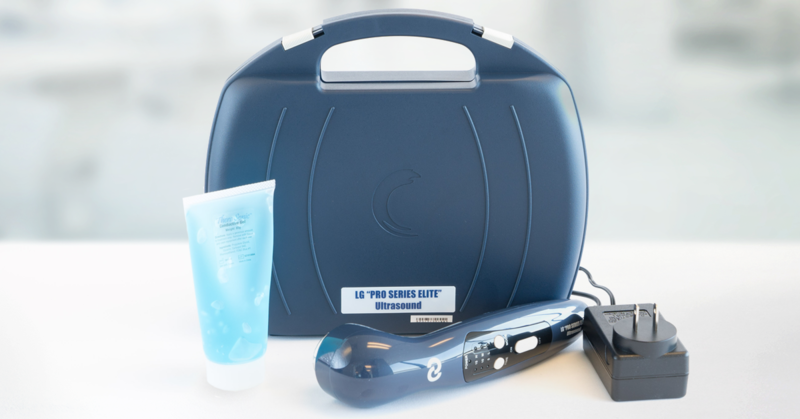 It was in the 1970s that Electronic Muscle Stimulators (EMS) found their place in salons. Over twenty years later in the early 1990s, units used in home treatment gained popularity. It was in the mid-1990s that wearable units gained popularity. They are worn like a belt with electrodes that connect to the skin with adhesive pads. Other Electronic Muscle Stimulators come in the form of shorts made of neoprene and other clothing items such as shirts. Since these variations of EMS devices were created, there has been a large growth in the EMS market. Most of the items are acquired by mail order and now come in different colors and prints such as leopard, cow print, and even zebra stripes. This is so the devices will appeal to some of the younger customers. However, with the growing popularity of these devices, the FDA had to step in to regulate them as far as what reasons they should be used. In the 1970’s when EMS devices were popular in salons, a device called the Relaxacisor, which was a vest that administered high voltage shocks, was developed. The FDA had to step in and notify post offices to look for these mail order devices because the vest was a hazard. Other reasons why the FDA had to step in were, first of all, that EMS devices are not recommended for young children and those in their early teens. The more appealing styles and prints that have come out in the last decade are for those in their mid teens to their early to mid twenties. Children do not need to be using these devices for the reasons in which many people use them for, which is bodybuilding. Children are growing and usually get adequate exercise from running and playing. What the EMS devices do is help strengthen, tone, and build muscular endurance. But since the inception of EMS devices, doctors have used them for a variety of reasons. They are especially helpful in those who are paralyzed, in pain relief, and improving blood flow in those with poor circulation. Chiropractors also use them on back injuries in order to relax the muscles, which results in faster healing times for patients. As the use of Electronic Muscle Stimulation devices has increased, other variations of them have hit the market for those using them during intense sport training. They are available in different strengths such as maximum strength that feels comparable to weight training, endurance and recovery that decreases the chances of delayed onset of muscle soreness, and explosive strength that is used for those participating in sports that involve fast movements. It is obvious that EMS devices have come a long way from the days of the Egyptians using an electric fish to relieve pain to the 1960’s discovery that EMS devices were great for medical uses. Since then, bodybuilders have found beneficial uses that help them in their weight training and more and more people are benefiting from the low voltage shocks of EMS devices to relieve ailments and to help strengthen and tone their bodies.